Welcome to the June 25, 2018 edition of ACM TechNews, providing timely information for IT professionals three times a week. While the U.S. is now home to the world’s speediest supercomputer, the newest Top 500 list finds China producing the most supercomputers with 206 systems, a number that is continuing to grow. In comparison, U.S. corporations and the U.S. government were responsible for 124 of the supercomputers on the list. In 2016, China and the U.S. were neck-to-neck on the ranking. 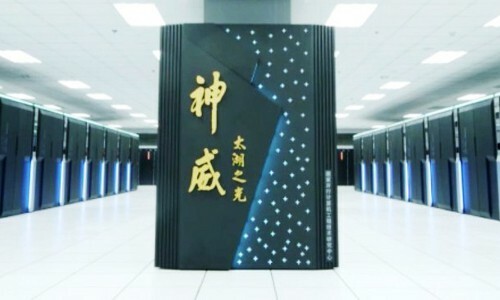 Now three Chinese companies—Lenovo, Inspur, and Sugon—are among the top five makers of supercomputers on the list. The Top 500 verified that the current fastest supercomputer, the U.S. Department of Energy's (DoE) Summit, is U.S.-based. DoE announced this month that Summit's speeds significantly overtook those of the previous champion, China's Sunway TaihuLight. Summit also tops the data-handling speed in applications benchmark while Sunway is now in sixth place in that category, but experts note the gap between the U.S. and China in software development is closing. 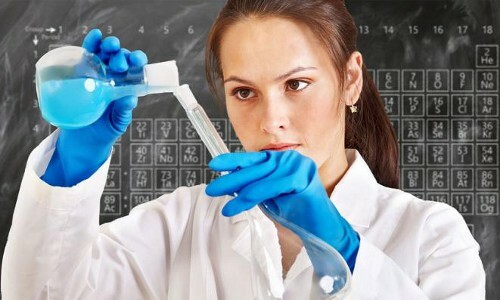 U.K. government departments are falling short in resolving the lack of gender parity in many areas of science, technology, engineering, and math (STEM), including apprenticeships, according to the Commons Public Accounts Committee (PAC) of the U.K. Parliament. The committee in 2016 recommended the Department for Education establish performance measures for the apprenticeships program that included whether it is improving access to underrepresented groups across all professions. The department decided not to set a target for female apprentices because it claimed women comprised half of overall apprenticeship starts; however, the PAC estimates that women only undertake 8% of STEM apprenticeship starts. "The gender imbalance is also apparent for A levels, where women and girls are well represented in biology, but little progress has been made in increasing the numbers in subjects like computing and physics," the PAC reported. 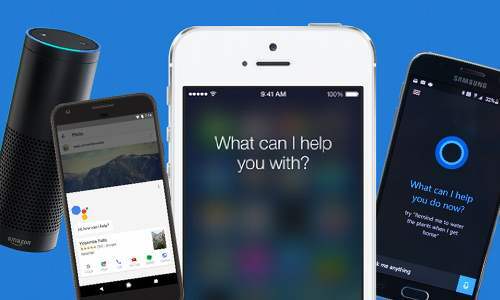 Researchers at University College London in the U.K. have found that four geotagged posts are sufficient to identify an anonymous account from a telephone company's database of 10 million customers. In order to effectively route calls to a cellphone, telecommunications companies must know which cell towers are nearby, and this process creates a crude map of each customer's movements. The researchers examined these "fingerprints" to determine if there was a risk users could be identified from their movements. They found that a single geolocated post from an anonymous account was enough to exclude 99.999% of the database, leaving about 100 possible users out of about 10 million records. "Four location leaks are sufficient to uniquely identify 95% of the users in our dataset," says Nicolas Kourtellis at Telefonica Research in Spain, who worked on the project. Santa Fe Institute researchers and their collaborators have launched an online wiki for collaboration, designed to serve as a hub for all who are interested in non-equilibrium statistical physics and the "thermodynamics of computation." The online platform compares natural computations, performed by cells or human brains, to artificial computations, which are significantly less energy-efficient. The wiki catalogs some of the new tools from statistical physics that apply to nonequilibrium systems, such as computers. The Institute's David Wolpert wants the research to expand to incorporate other recent breakthroughs from statistical physics, such as the Jarzynski equation. The researchers recently published a study summarizing advances and open questions that pertain to thermodynamics and computation, and presenting additional factors that could affect how energy flows in and out of atoms during computation. A new ultrathin cloaking material developed by University of Wisconsin-Madison (UW-Madison) researchers can conceal objects and people from infrared heat detectors. UW-Madison's Hongrui Jiang says the stealth "sheet" is much lighter, more affordable, and easier to use than conventional metal armor or thermal blankets. The material is less than a millimeter in thickness, and it absorbs about 94% of the infrared light it encounters, including light in the mid- and long-wavelength range discharged by objects at approximately human body temperature. This is done with black silicon, a nanowire-impregnated material that absorbs incoming light by reflecting it back and forth between the nanowires. The researchers incorporated electronic heating elements into the stealth sheet to deceive infrared cameras "by presenting a false heat signature," Jiang notes. The University of Toronto (U of T) in Canada has worked with Uber's Advanced Technologies Group on an algorithm that combines object detection, tracking over time, and prediction to improve safe maneuver planning by driverless vehicles. "We try to optimize as a whole so we can correct mistakes between each of the tasks themselves," notes U of T's Wenjie Luo. "When done jointly, uncertainty can be propagated and computation shared." Uber first culled a dataset of several North American cities via LiDAR scanners that captured more than 1 million frames. The collaborators then developed a special artificial intelligence tool to cope with large volumes of scattered, unstructured data. Up to 10 times faster than current methods, the algorithm uses a sparse computation based on which regions are most important. "The car sees everything, but it focuses most of its computation on what's important, saving computation," says U of T's Raquel Urtasun (who also is head of the Uber Advanced Technology Group Toronto). Researchers from Universidad Carlos III de Madrid in Spain (UC3M), the Complexity Science Hub Vienna in Austria, and other institutions in those countries, Australia, and the U.S., have created a tool to track and analyze gender inequality through Facebook usage data. The new tool generates a metric, called the Facebook Gender Divide, based on the aggregate statistics of almost 1.5 billion users of the social media service from 217 countries. The researchers found a strong correlation between the Facebook Gender Divide and the World Economic Forum's standard measurements of social and economic gender inequality. The number of active women on Facebook grows faster with the amount of people with a Facebook account than the number of active men, the team found. In economic terms, the research shows countries with a lower Facebook Gender Divide are approaching gender equality more quickly. The researchers highlight the potential for social network data as a monitoring tool to study social problems with cultural, demographic, and political implications. A computational framework designed to personalize cancer treatment by matching individual tumors with drugs or drug combinations that are most likely to destroy them has been created by an international team including researchers at the Columbia University Irving Medical Center (CUIMC). 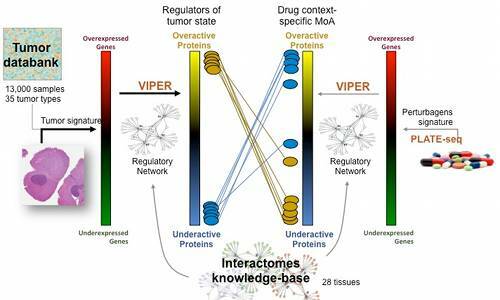 This proof-of-concept platform analyzed samples to first identify a new class of drug-targets that seldom are mutated in cancer patients, and then predict the drugs that can reverse their cancers. The algorithm accurately predicted that the same drug would be effective in nearly half the patients. "Using novel systems-biology methodologies, which combine the use of supercomputers with large-scale pharmacological assays, we can computationally predict and prioritize drugs and drug combinations that will most effectively kill cancer cells," says CUIMC's Andrea Califano. A new machine-learning technique can make computers up to 24% better at guessing passwords, according to researchers at the New York Institute of Technology and the Stevens Institute of Technology. The new technique, called PassGAN, relies on a generative adversarial network (GAN) and was able to generate password matches that were not produced by any established password rules. 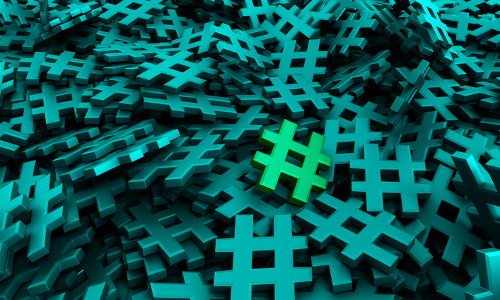 The team combined the output of PassGAN with the output of the HashCat password recovery utility, and was able to match between 18% and 24% more unique passwords compared to HashCat alone. In contrast with traditional password generation rules, PassGAN can generate a practically unbounded number of password guesses. The experiments demonstrated that the number of new, unique password guesses increases steadily with the overall number of passwords generated by the GAN. Researchers at the Technical University of Munich (TUM) and Forschungszentrum Jülich in Germany have collaborated on a system that can three-dimensionally (3D) print microelectrode arrays directly onto soft substrates, including gelatin. TUM's Bernhard Wolfrum and colleagues used electrodes printed with carbon-based ink, with a neutral protective layer added to the carbon paths to prevent pickup of stray signals. The team evaluated the inkjet-printing process using polydimethylsiloxane (PDMS) and other substrates. Cell-culture experiments showed that the sensors yield reliable measurements, and also enable measurements on a single cell or only a few cells. "The difficulty is in fine-tuning all of the components—both the technical setup of the printer and the composition of the ink," says TUM's Nouran Adly. "In the case of PDMS, for example, we had to use a pre-treatment we developed just to get the ink to adhere to the surface." University of Georgia (UGA) researchers have developed a software suite that uses machine-learning tools to examine the network activity of thousands of individual users and identify downloads from suspicious sources. If the AMICO system finds a problem, such as a download from a website that has only recently registered, network security is alerted. AMICO is designed for large open networks, and is currently being used by UGA and the University of Alabama at Birmingham to protect their systems. UGA researchers continue to pilot CyberArch, a program that will share customized cybersecurity resources with Georgia communities. UGA "is making great strides and is doing things very systematically to increase our cybersecurity research and engagement with the community, with the federal government, and internally," says Kyle Johnsen of the Georgia Informatics Institutes. A new dataset from Stanford University is designed to train artificial intelligence (AI) systems to understand how to answer questions more effectively by knowing when they lack sufficient information to answer them accurately. The update to the Stanford Question Answering Dataset (SQuAD 2.0) upgrades a dataset companies often use to tout the question-answering precision of their language-understanding AI systems. Earlier datasets operated by providing a paragraph of text to the algorithm, and then asking it to answer some questions. Those datasets usually assumed the answer actually existed in the text, but SQuAD 2.0-trained AIs must decide either how to answer the question correctly or whether it is answerable. SQuAD 2.0 has about 50,000 unanswerable questions that loosely relate to the subject matter of the reference text. The first attempt to train question-answering systems on the dataset yielded 66% accuracy. The publishing of SQuAD 2.0 will enable other scientists to train algorithms to improve their question-answering capability.